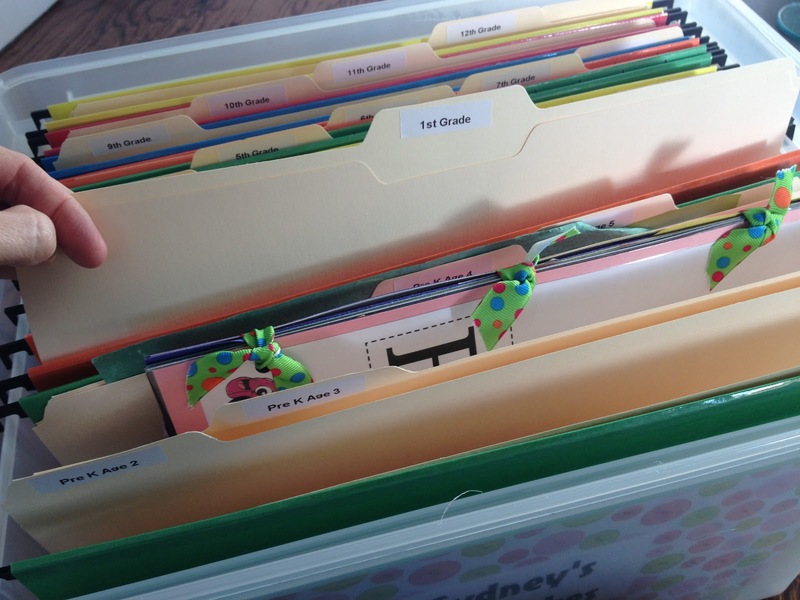 DELIGHTFUL MOM STUFF: Organize It! My fabulous friend Amy told me about this wonderful idea to organize kids STUFF, and I asked her to write a post about it- so here you go! Thank you Amy, love it! If your household is anything like ours, it's full of energetic little kids who love to CREATE. That can be anything from painting, coloring, baking, sculpting, gluing or making dirt roads in the sand. Oh, how we wish we could keep all of these memories, however, the paper art alone could fill up our homes wall-to-wall if we don't do something about it. I don't consider myself a keeper so throwing out some things is not too difficult. When my kids' keepsakes started taking over every room and drawer in my house I decided that I could not keep all of it. So I made a rule to toss 90% and only keep the stuff that makes my heart pitter patter or that represent milestones. A couple years ago I saw this idea for keepsake boxes in a magazine. I finally set my mind to getting them done and found it amazingly fast and easy. Purchase a banker box (file box) and place folders inside for every year they are in school. For the things you want to keep just place them in the age appropriate folder. I don't necessarily want to keep the banker boxes out all the time so I just set aside their keepsakes for a while and then drop them in the appropriate folder when I need to. Here's what you'll need to get started. I found everything at Staples. Label the folders by printing labels or hand writing them. 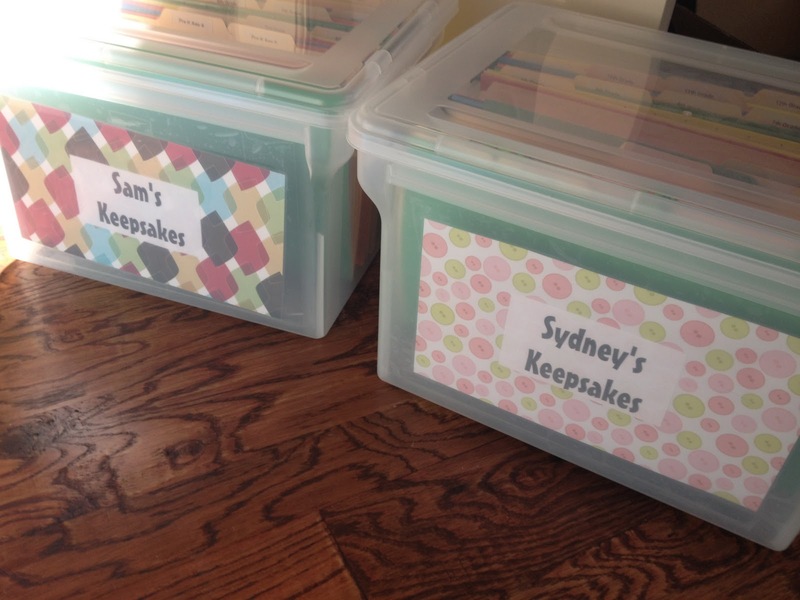 Label the boxes with your child's name. I think these boxes will be great fun to go through as they grow up. And, when they have a home of their own someday, they can be passed on. p.s. Not sure whether to keep or toss something? Snap a picture of it and you'll have it forever.